As we get further into the semester, students may find themselves in need of training on certain software programs to be able to complete major course activities and assignments such as creating presentations with Prezi or analyzing data using SPSS. When it comes to facilitating that participation and grading assignments, faculty may want a refresher on those programs or how to use certain feedback features in Canvas. Through the USF system subscription to Atomic Learning, all members of the USF St. Petersburg community have unlimited access to online tutorials for commonly used web and software applications. These online training resources teach you “how do I do that” through a library of thousands of short, easy-to-understand tutorial movies. Topics include Microsoft programs, Adobe programs, Apple programs, Canvas, mobile apps, and much more. To access this resource, log into Atomic Learning using your USF NetID and password. 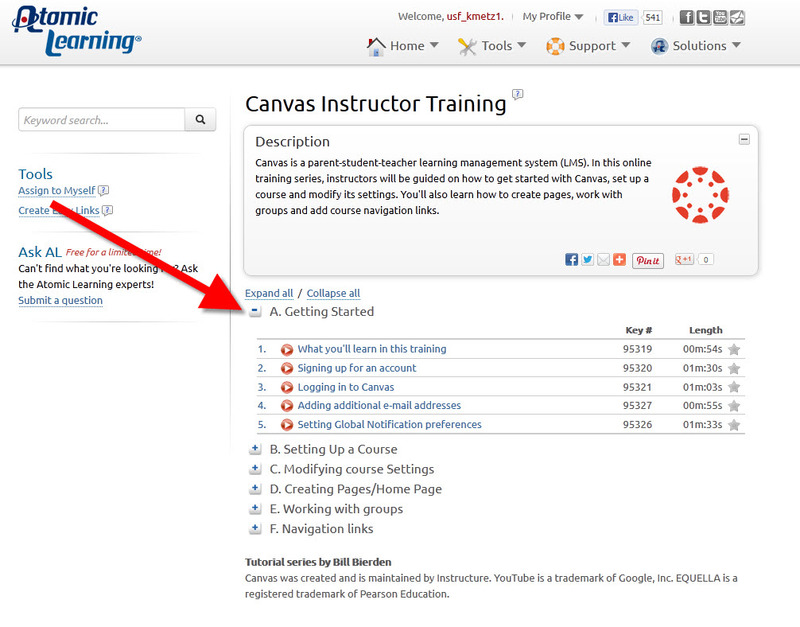 Once logged into the Atomic Learning site, you will be able to browse or search for specific programs. After finding the program you wish to learn more about, click on the Series Title to view the available tutorials. Then click on the title of the tutorial to load the video and learn more about the topic. For more help with getting started, view this text getting started guide (PDF) or video orientation. If you have trouble with accessing this resource, contact the USF System Help Desk at 813-974-1222 or help@usf.edu. If you have any questions about how to best use this resource for you or integrate it within a course, contact Online Learning and Instructional Technology Services at 727-873-4409. Located in the Nelson Poynter Memorial Library, the Distance Learning studio is a fully functional classroom with the capability of audio and video recording. It has the ability to not only record your lectures, but record your PowerPoint, documents, and whatever else you show to your class. Every semester we have at least one faculty member who holds class within the studio and records their lectures to use in the future. Below is a video that we put together with the hope of showcasing some of the technology that is available to faculty members and others who wish to use our studio. I would also like to mention and thank Robert Vessenmeyer and Timi Hager for helping put this video together. If you have any more questions about the DL studio, feel free to contact one of us here in Distance Learning and we would be happy to help. I am also available to emcee all dinner parties, award shows, and revolutions you might be having in the future. USF has created a faculty-to-faculty listserv so that you can email each other with ideas, news, announcements, tricks, tips and workarounds about using Canvas. You can also use it to ask questions of other subscribers. Several support staff, include Information Technology and Instructional Designers, will also be part of the list. To subscribe, visit the listserv index page and locate “Canvas” in the alphabetical list, then click it to find the link to “Join or Leave CANVAS.” Use that link to enter your preferred email address and select whether you would like receive emails as they are sent, as a daily digest, or as a weekly digest. 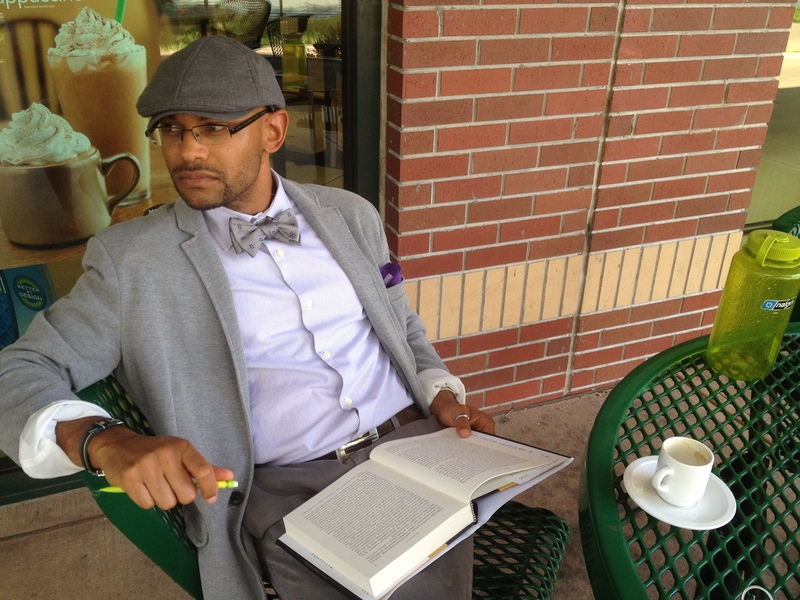 Instructional Media Services at Nelson Poynter Library is very pleased to announce that Dr. Francis Tobienne’s course, Literature & The Occult (LIT 3451), received Quality Matters Certification yesterday, May 7, 2013. Not only did Dr. Tobienne’s course meet QM standards, he received a perfect score of 95 points. Dr. Tobienne’s course is the third course to receive QM Certification at the University of South Florida St. Petersburg and the first course from the College of Arts and Sciences. Congratulations to Dr. Tobienne! To learn more about Quality Matters, visit our Professional Development page or contact Instructional Media Services. 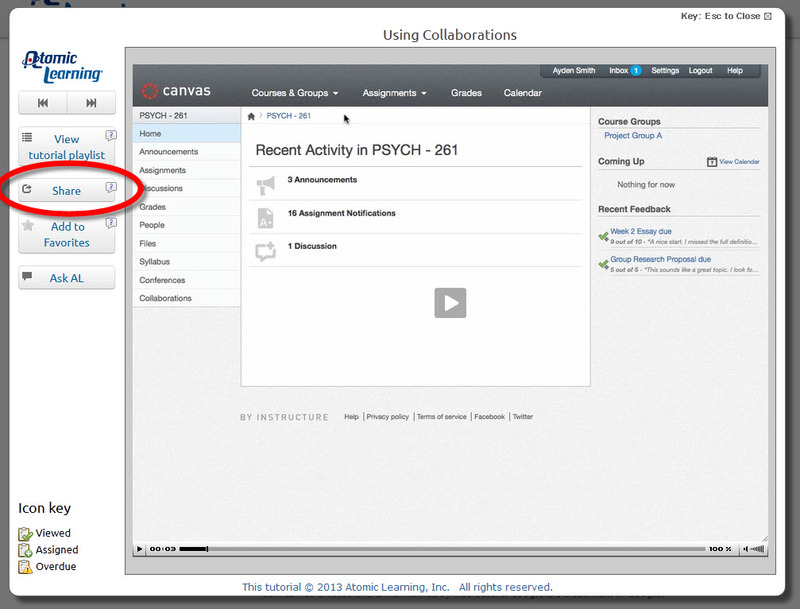 As many of you may already know, Canvas is a living and breathing LMS. Canvas schedules updates and new features every three weeks! This week canvas released several new items that I thing faculty will like. The Attendance is a new tool that Canvas just enabled. It links to a service called Roll Call, and is used to take daily classroom attendance. This attendance tool is supposed to be integrated with the Gradebook as well. It’s a brand new tool, so there’s not yet any documentation, so use it as you will. Also enabled for us this week was the option of using Calendar 2. This is a revamped version of the Calendar. The new calendar is faster, supports weekly and daily views, along with Scheduler. The scheduler tool lets you set up time slots that students (or student groups) can sign up for. For more information on Scheduler visit the Canvas help guides.